Last year we decided to stick our neck out and make a few predictions on what might happen in the world of Craft Chocolate, you can view the original post here. So now it’s the end of January 2019, we’ve decided to review the accuracy of our 2018 predictions – and make some new ones for 2019. For 2018 we did OK to middling. Maybe a B+? In terms of accuracy we had 2 “sort ofs”, 3 “not really”, and 6 “definitely happening”. But most of the “definitely happenings” were safe no brainers … so this year we are going to be a bit bolder and avoid the “safe” (ie obvious) predictions. We will see an upgrade to “proper” drinking chocolate, especially in speciality coffee stores. 2. Chocolate boards will become a mainstream rival to cheese boards. 3. Bloggers and journalists start to do more debunking of crazy chocolate myths and raise awareness of some of chocolate’s “darker” sides. Verdict: Not really. Some great stuff on deforestation in 2017 … but why, oh why, has nobody debunked the likes of “RAW”, “Ruby Chocolate” and so much else? Verdict: Definitely happening. Hat Tip to Mikkel Friis Holm, Arnauld Stengel (Erithaj), Chris Brennan (Pump Street Chocolate), Mark Schimmel (Krak) and Nate Hodge (Raaka) for their pioneering work on different fermentations. 5. New bean origins emerge to delight and enthuse. Verdict: Definitely happening. We’ve been delighted by new beans and bars from Mexico, Costa Rica, Uganda, etc. But this is all somewhat dampened by the relatively low penetration of speciality beans; speciality beans remain a fraction of overall cocoa production – we don’t really have the speciality coffee equivalent of “geisha” and cocoa remains predominantly a commodity crop. 6. New maker regions continue to emerge. Verdict: Definitely happening. Thailand, Korea, Norway, Estonia and Uzbekistan are a few of the new countries where we met with new makers for the first time in 2018. But as above, craft chocolate remains a tiny fraction of world chocolate – far smaller as a percentage of overall sales and consumption than e.g., coffee, beer or spirits. All too often the consumer still buys on price – and whereas they’ll pay a premium for speciality coffee, their craft beer or artisanal gin, they don’t realise that spending just one or two pounds, euros or dollars more will lead to a quantum difference in chocolate quality and the lives of the cocoa farmer. Verdict: This was an (obvious) cheat — definitely happening. It’s still hard for consumers to make sense of all the “guff” surrounding sugar. Too many consumers still believe that e.g., coconut sugar or lucuma is “better” for them (hint: there is no science to back up these claims). Stevia is still being added to chocolate and ruining what might be great beans and bars. Too many consumers still lump all chocolate into “if it has sugar it must be bad” without realising that most breakfast cereals and many low fat yogurts have way more sugar than most craft chocolate bars gram per gram. Part of the problem is being able to work out how much sugar you are consuming (hint – a 375ml can of coco cola has 12 teaspoons of sugar, a single portion low fat vanilla yogurt has over 5 teaspoons of sugar whilst an average dark chocolate bar (65g at 70%) has less than 4 teaspoons of sugar; and most consumers won’t eat a full bar of dark chocolate at one sitting). So maybe take the initiative and say “x teaspoons of sugar per serving”? 10. Customers start to read the label. 11. More and more customers will enjoy more and more craft chocolate “experiences”. Consumers realise that to make great brownies, cakes, hot chocolate, etc. they should use craft (cooking) chocolate and cocoa. Hat tip to Pump Street, Chocolarder, Morin, GoodNow and many more for pressing their own non-alkalinised cocoa powder. Original Beans have for a long time made the couverture they sell to chefs also available for general consumers; and we’re sure more and more craft chocolate makers will follow. 3. Customers start to understand the difference between “use by” and “best before”. Sadly it may well be that we in the UK will take the lead here when the looming disaster of Brexit makes Brits really grateful for craft chocolate that is beyond its “best before” as it may well be the only stuff we can buy. More seriously, this is an extension of helping customers understand labels. For more on “best before” versus “use by” please see our blog from last year. Basically, “use by” means there is an ingredient (e.g., milk, a preservative or stabilisers) which goes off; “best before” means there is nothing that “goes off” but that the quality may (and I stress may) decline after that date (some dark chocolate bars, provided they stay in “temper” age like great red wines). 5. 100% craft chocolate bars continue to fly off the shelf. We’ve always known that 100% bars are great sellers online (it’s relatively easy to search for them). But we are also increasingly encouraged by customers reaction in store and at shows to tasting 100% bars. To quote from Harmony, who has done dozens of samplings in various stores, “when sampling in stores and events, most people who are interested in 100% have only dealt with mass brands and they are quite blown away when trying small batch 100%s. These people are pretty dedicated chocolate consumers and they are amazed that 100% bars don’t need to be bitter etc., it needn’t just taste like ‘cocoa powder’ or be dry and astringent. People will eat this because they genuinely enjoy it rather than for purely ‘health’ reasons”. 7. Craft Chocolate Tastings become even more popular. So this is a bit of a plug too. Nearly years ago, Lizzie and I started to do monthly Craft Chocolate Tastings at Prufrock Coffee (thank you again Prufrock). We’ve now done these all over the world – inside start ups in Silicon Valley, in Dubai, with wine clubs and speciality stores, with university departments (Oxford, UCL, etc), for corporates (they make great team building opportunities), etc. We’ve fine tuned the format, content and bars so that we are now really proud of our tastings. And we are now expanding them (e.g., see the website for ones we are doing Wholefoods for Valentines, our planned ones with Out of Office in Milton Keynes), etc. Many other people also do Craft Chocolate tastings – Duffy, Kathryn Laverack, Tristram etc. – and we are honoured to be able to support them with bars, content, etc. And we’d more than happy to share the tools and help more people set up their own tastings – or to come to you if you are a corporate, would like some special family do, etc. Or just check out upcoming events here. 8. Asia becomes more and more important. We’ve already seen India emerge as a great source of beans – and craft chocolate aficionado’s are emerging here. Japan now has twice the number of craft chocolate makers than the UK, France and Germany combined. How long before China wakes? 10. Debunking of myths. So if nobody else is going to cry “BS” at the likes of raw chocolate, we’ll write a blog on this. In the meantime, continued praise to the likes of Andrew Baker, Sharon Terenzi, Hazel Lee, Judith Lewis, Estelle Tracey, Clay Gordon, Dom Ramsey and Simran Sethi for their great pieces..
[vc_row type=”in_container” full_screen_row_position=”middle” scene_position=”center” text_color=”dark” text_align=”left” overlay_strength=”0.3″][vc_column column_padding=”no-extra-padding” column_padding_position=”all” background_color_opacity=”1″ background_hover_color_opacity=”1″ width=”1/1″ tablet_text_alignment=”default” phone_text_alignment=”default”][vc_column_text]On Sunday 10 October, Cocoa Runners co-founder Spencer returned to Channel 4’s Sunday Brunch to share four of the newest & most exciting craft chocolate bars in the Cocoa Runners Library. Click here to buy the full collection or read on to explore the individual craft chocolate bars for yourself. [/vc_column_text][/vc_column][vc_column column_padding=”no-extra-padding” column_padding_position=”all” background_color_opacity=”1″ background_hover_color_opacity=”1″ width=”1/2″ tablet_text_alignment=”default” phone_text_alignment=”default”][vc_column_text]First is a brand new addition from Original Beans. 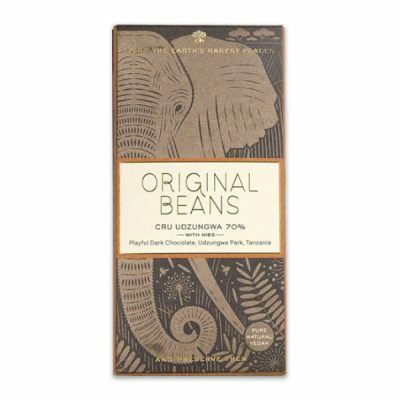 Its Cru Udzungwa dark chocolate has been crafted using beans from the edge of Udzungwa Mountain National Park in Tanzania. Locals grow the cacao trees in special village gardens. This gives locals a good source of income and thus supports local communities and their stewardship of Udzungwa National Park which is home to a number of endangered species, including African elephants. 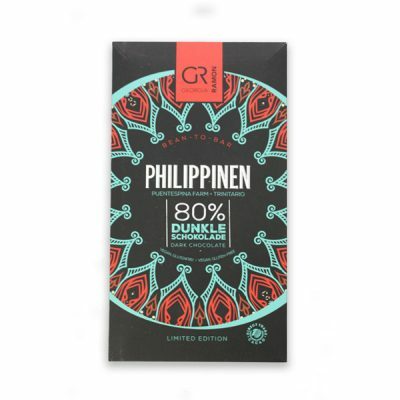 Next is a Georgia Ramon’s Philippinen 80% bar. 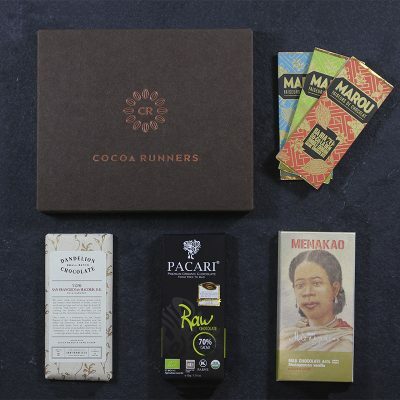 Cocoa Runner’s first German maker, the company was founded by Georg Bernadini and his partner Ramona Gustman. Georg has worked in the chocolate industry for over 20 years and has now put his years of knowledge and experience working for others to good use. The beans are sourced directly from the Puentespina family in the Philippines. 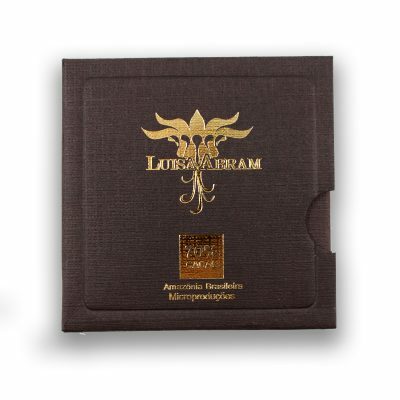 Then travel to the Amazon with Luisa Abram’s 70% dark chocolate bar. Luisa and her father Andre travel up through the Brazilian rainforests and up the Amazon river looking for rare cocoa beans and long-forgotten or undiscovered varietals. They buy their beans directly from the local communities who harvest, ferment and dry the beans. These are then shipped down-river to Luisa’s workshop where she transforms the precious cacao into incredible chocolate! 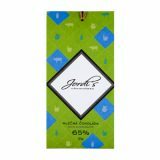 Finally we have a decadent Chocolat Bonnat Javan Dark Milk from one France’s oldest chocolate makers. 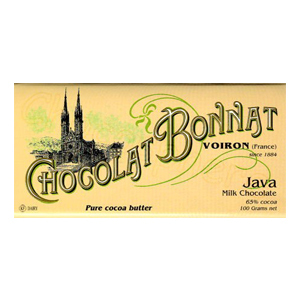 Chocolat Bonnat has been crafting chocolate in Voiron, France for over 130 years. The company is currently headed by the sixth generation of Bonnat chocolatiers Stephane Bonnat. Javan cacao has a particularly fine flavour and the island’s cocoa trees are believed to trace their roots all the way back to Venezuela. There has been a lot of buzz about cocoa nibs recently, but what exactly are they? Everyone knows that craft chocolate is made directly from the cocoa bean. But did you know that these cocoa beans are a delicious treat all by themselves? Cacao nibs are pieces of fermented, dried, roasted and crushed cacao bean. Once roasted, winnowed and cracked the nibs are generally made into chocolate. But these crunchy bits of cocoa nib can also be eaten just as they are. This is ‘chocolate’ at its purest – no added sugar, no milk, no flavourings and almost no processing. And just like the chocolate they are turned into, cocoa nibs have been shown to have many different nutritional benefits. Cocoa nibs naturally contain a significant amount of fibre (about 9g per ounce) as well as magnesium, potassium and more calcium than cow’s milk. Cocoa beans are a plant-based source of iron. On top of this cacao contain high levels of flavonoids, particularly epicatechin which studies have shown to have a beneficial impact on cardiovascular health. Of course all this can also be said of chocolate, but without any added sugar or milk cocoa nibs are the best way to get these benefits. It’s not just about eating something that’s good for you however, it’s about eating something that tastes good. Cocoa nibs have a slightly nutty texture, comparable to cashews or macadamia nuts. The nibs aren’t as bitter as you might expect as the flavour is less intense and generally fruitier. Our Madagascan nibs by Menakao have a particularly pronounced fruity aroma with a roasted undernote. Sharp citrus mixes with orange and cranberries. The profile is similar to Menakao’s dark bars but with a raw, unprocessed edge: the same flavours are present but haven’t been focused and refined as in a bar. So what to do with these delicious and diverse cocoa nibs? Nibs are a wonderfully versatile cooking ingredient that you can use in both sweet and savoury dishes. Below we highlight some of our favourite ways to use cocoa nibs. Start your day with a crunch. Add a sprinkling of cocoa nibs to your morning porridge, giving it a little more texture and a roasted chocolatey note. For a deliciously fruity breakfast, why not use Menakao’s roasted nibs and add in a handful of dried fruit to bring out the beans’ own flavours. Bake to perfection. Described by some as ‘nature’s chocolate chip’ cocoa nibs can be added into cakes, cookies, biscuits, brownies, muffins and more! Cooking will soften the nibs a little but they’ll still retain some of their crunch. Remember that while the nibs are bursting with intense flavours, they’ve none of the added sugar that chocolate does. So you might need to adjust your recipe accordingly. Top everything. Don’t stop at porridge and baked goods. We think a liberal sprinkle of cocoa nibs can improve any number of dishes from your superfood smoothie, to yogurt and granola, to rice pudding or pancakes. Be bold. Chocolate might be regarded as a sweet treat, but nibs don’t have to be. Just like nuts and seeds cocoa nibs make a great addition to salads. A simple snack. Instead of munching on dried fruits or nuts, why not try a handful of cocoa nibs to keep you going throughout the day. Keep a little sachet by your desk for when you need a sugar-free chocolate fix. How do you use cocoa beans? Let us know your favourite recipes. We are really excited to have welcomed Georgia Ramon, our first German craft chocolate maker to the Chocolate Library this month. Based in Bonn, Georgia Ramon is the brainchild of Georg Bernadini and his Partner Ramona Gustmann. Georg is already a well know figure in the chocolate world – he has been working in the industry for over twenty years, and been involved with the bean-to-bar movement since 2005. We asked him a few questions about his latest chocolate venture and the vision he and Ramona has set out for Georgia Ramon. I stems from an Italian family of restaurant proprietors. I started my career in 1984 as apprentice at a German patisserie in Bonn. In 1987 I worked for few month in Munich at Kreutzkamm (very famous for Stollen and Baumkuchen). In the same year I moved to Paris where I worked for five years at a German/Austrian Patisserie and in the meantime also in a 2 Michelin star Restaurant in Toulouse. In 1992 I established the Confiserie Coppeneur together with Oliver Coppenur. In 2005 we started our Bean-to-Bar project. I was responsible for the whole project starting with sourcing machines and cocoa beans, but also for recipes, production, design and marketing. In June 2010 I retired as partner of the Confiserie Coppeneur. In 2012 I published my first book Der Schokoladentester followed from the second edition, this time also in English, in September 2015. (The English edition The Chocolate Reference Standard is available for sale on Cocoa Runners here). In 2016 I write one or two new books (with chocolate recipes), but this time not self-published. When I was working in Paris my dream was to establish my own company. The choice was between a patisserie or to specialize in gelato or chocolate. Chocolate seemed to me to be the best choice. Chocolate was always my favorite sweet so I didn’t take long to think about my choice. Of course we will always produce also single origin bars, but I also would like to create new tastes, like our Brokkoli chocolate (our number one seller). Actually I’m working on a tomato and on a stinging nettle chocolate. It’s a thrilling time as we are able to make every day tasting at the counter of our own shop. So we get feedback every day. My main focus is to use the best ingredients as I can find and not to make any compromise in this! When did you start your company — and with whom? How many are there of you? With my life partner, Ramona (Gustmann) we started in May 2015. Now we have a full time pastry chef and 3-4 part-time staff. Where do you want to go next? New bars? New beans? New markets? The first step is to establish our brand in the traditional market as a high quality craft Bean-to-Bar brand. We still work to optimize our way to produce chocolate. The feedback of our customers is even better than I dreamed. They love our chocolate and this is quite satisfactory. Of course we will create new bars. New flavored bars, but also new origins. There are so many origins to discover that I refuse to limit myself to work only with few origins. I know that some customers, especially re-sellers, wish to have a kind of stability in the selection. But this is not always possible. For example: we started with a quite rare organic Ghana cocoa bean from the ABOCFA-Cooperative since the beginning of our company. Two weeks ago I got the information that we cannot anymore buy this beans as the cooperative sold the whole harvest to one customer in Netherlands. 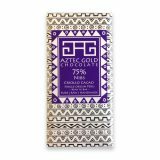 Our Ghana chocolate is the bestseller from our origin range, but we cannot anymore produce this chocolate. So we have to find a new origin. And I’m seriously when I say to all chocolate lovers: buy this bar before it is sold out! You will hardly find this quality made from Ghana cocoa beans, especially in organic quality! I also want to develop our range of strange and new tastes like tomato and stinging nettle. Somebody wrote last week on Instagram in context to our broccoli-chocolate something like ‘Nobody need this kind of chocolate’. This is a quite big error and nonsense! If we don’t continue to experiment with any kind of ingredients, ways to produce a chocolate etc., where is the legitimacy existence of creativity and also of craft bean-to-bar? How can we progress and develop new products if we don’t try to go new ways? Also, why is chocolate in dishes (as mole) OK, but not vegetables in chocolate? It don’t make any sense to me. Why coffee or matcha is OK in chocolate, but not broccoli, tomato or stinging nettles? Sorry, but this kind of opinion and also of inconsistency I don’t understand. New markets: This is not our main focus at this time. Before thinking about new markets we would like to get enough and good partners in the traditional market. How did you source your beans? Our beans from Maranon (Peru) and Philippines are directly traded. Our Belize beans are fair traded beans which we buy through the importer of the TCGA-Cooperative, Mr. Patrick Walter. But we are in direct contact with the cooperative in Belize. The fair trade and organic Ghana cocoa beans we sourced from Josef Zotter and our Dominic Republic beans we buy from a local dealer who I know now for more than 10 years. For us it is important to know the traces of the beans. From where they come, who produces them, how are the conditions where the people work etc. What is your favourite food? Wine? 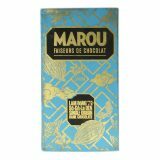 Other chocolate makers? My favourite food? Oh, many… and I’m happy that Ramona agrees with me in almost all of my favourite foods. First of all, of course, chocolate in all variations. But I love also all other kind of fine food. Pastry/Desserts (especially Japanese pastry in European style) Cheese, fish, seafood, fine salami, olive oil, bread. Wine is not really my favourite beverage. I like good wine, yes. But I prefer often to get a delicious IPA craft beer or craft beer generally. I love a nice Rhum and my favourite cocktail is definitely: Cacacha + fresh cocoa pulp and a hint of lime served on a cocoa plantation in Brazil (I had this wonderful experience with my friend Diego Badaro/AMMA). For food I’m/we have quite simple tastes. The quality of the ingredients has to be good and the cook not the worst. In this case you will always be happy with what you get. I have some chocolate makers which are definitely my favourite makers (in no order): Rogue Chocolatier, SOMA, Sirene, Metiisto, Zotter, Domori, A. Morin, Pump Street Bakery, Patric Chocolate and of course Fruition. For assorted chocolates I love especially Es Koyama, Demarquette, Le Chocolat de H, Nobile Cioccolato, William Curley, Patrick Roger and Wild Sweets. Spring has finally sprung in London, and along with the change of season we are delighted to welcome a brand new British maker, Aztec Gold. Aztec Gold founder has spent her life as a globe-trotting chef and restaurateur. When ex-chef Emma moved to Costa Rica, she truly discovered cacao for the first time. Moving back to the UK, Emma made her childhood dream of becoming a chocolate maker a reality. Based in Oxfordshire, Emma is dedicated to making chocolate that is good for you and for cacao farmers. Crafted using unroasted cocoa beans, sourced from a small-scale cooperative in Peru. A generous bar. The smooth texture and slightly buttery mouthfeel contrasts with the sharp crunch from the nib pieces. Nibs add a wooded intensity but the overall flavour is sweetly vegetal with a green coconut note. A hint of powder on the finish. Journeying from the new to the old, we bring you a bar from one of France’s most well-established makers. Second generation patissier and chocolate maker Francois Pralus has continued his parents’ work, pioneering an extensive range of single-origin bars and even acquiring his own plantation on Madagascar. Pralus’ Indonesian bar uses only Javan cacao. 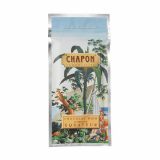 The trees are descended from the Criollo cacao originally imported by the Spanish the 17th Century. A classic dark bar from Francois Pralus. A clean snap, smooth melt and buttery mouthfeel begin the tasting. Roasted and gently smoked notes dominate the bar. Subtle hints of citrus fruits and spice lie beneath the surface. Earthy liquorice and candied orange peel appear and dissolve quickly on the tongue. Skipping accross to Canada, we’ve a new bar from Sirene. After graduating in biology and economics, Taylor Kennedy decided to become a photographer. He spent 18 years photographing, writing and editing for National Geographic before switching directions again and becoming a chocolate maker. Taylor’s stylish twin taster packs were a huge hit when we first introduced them last year. We’re sure this new offering will prove just as popular. 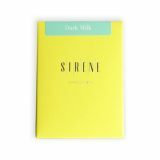 Unwrap Sirene’s unique packaging and discover a tasting pair of single origin dark milks. First the Madagascan. Sugared notes of brown butter mixes with jammy apricots. A faint aroma of summer berries lingers. Next the Guatemalan is creamy with a touch of cooling menthol. The sweet but subtle milky flavour reminded us a little of a panna cotta or creme caramel. A delicate hint of maple syrup on the finish. 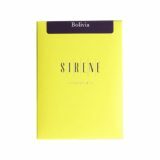 Sirene describes the dark chocolate as having a ‘ hint of the feral’ but we think it has more the aroma of adventure.Made using wild cacao grown deep in the Bolivian rainforest. The initial melt is very smooth thanks to a buttery texture. Rich chocolatey flavours have a slightly muddy edge. A spiced note lurks beneath and in turn gives way to coffee and chalk. Finally journey to the Czech Republic for the latest creation from Jordi’s. The Czech Republic first and only bean to bar maker, Jordi’s crafts its bars in Hradec Králové, 50 miles east of Prague. Its eclectic range encompasses different origins, flavours and even bars using sheep and goat’s milk. Living up to its name, Jordi’s new bar has all the intensity of flavour we would expect from a dark. The milk gives little sweetness but helps to create a rich and creamy chocolate that coats the mouth. The chocolate has a slight tang and as it melts we noticed an earthy hint. 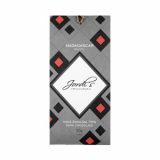 Jordi’s latest single origin bar uses Bertil Akesson’s Madagascan cocoa beans, from his Bejofo plantation. An initial hit of red fruit slowly develops into more citrus notes as the bar melts. The flavour of this smooth bar then evolves and leaves you with a slight earthiness. And if you really loved the box and want to stock up, you can buy The May 2016 Collection here (Dark Only). Since 2010 Anna and Robbie have been crafting bars from the simplest of ingredients: just single origin cocoa beans and cane sugar. We’ve been following Ritual since before Cocoa Runners even began, so we are truly delighted to be able to share its bars with you. And we were lucky enough to speak to Anna and Robbie and find out a bit more about them and how they maker their chocolate..
[Anna]: I spent many of my childhood years on our family farm in Essex. Being around a family business at a young age really inspired me to start business that I could put my values into and that really had meaning for me. I moved to Boulder, Colorado for High School with my mother who is American and ventured back across the pond to Queen Marys College, London studying English Literature and Drama. After University I traveled to South East Asia for 6 months, with an interest in other cultures passions, food, and way of life. Coming back to Colorado in 2006, I fell in love with the Colorado Mountains and outdoors. I set my sights on teaching yoga and doing triathlons. During this time my interest in fine food, coffee and wine was developing. When Robbie and I met in 2008 we quickly became excited by the idea of starting a business together that would really fuse our love for the outdoors, travel, different cultures with our love of food. Initially when the idea of chocolate came up we knew very little about it. Of course, we loved eating it, but we quickly discovered that most chocolate on the market was pretty low quality. Through a lot of research, we slowly began to see the potential for making ultra-high quality chocolate, but we had still not tasted any at the time. From there, we just kept taking small steps towards perfecting our craft and creating our business. And since the first batches we made in our apartment, we kept taking small steps and now we’ve gotten to where we are today with our own factory in the mountains and a brand and quality that is pretty well known within the chocolate community. [Robbie]: I’m originally from Park City, Utah, which is where our factory is now located. As for education, I was originally a Geology major, but switched to majoring in English Literature with a minor in Geology. So my education didn’t really prepare me for chocolate, but in some ways it did because chocolate is equal parts science and poetry. It definitely helps to approach flavor scientifically, but at the same time we create and problem solve using creativity. During and after college I pursued competitive cycling with hopes of making a career out of it. Although, right out of school I got a job as a writer and editor for a cycling magazine called VeloNews. In 2009, I wrote an article about coffee, and as part of the article I arranged a “cupping” and graded around 20 coffees. Anna and I were both inspired by the way terroir and roast levels affected flavor. We were already thinking about starting our own business, and this experience influenced us to want to work with a food that relies on terroir for its flavor. We always loved dark chocolate, but didn’t really see it as a fine food at the time because we were only paying $2-$3 for the chocolate we were eating. But through a few small events, we discovered that chocolate had a lot of potential and was something we could really be interested in. In 2009, we thought it was quite strange that we could buy fine cheese, coffee, olive oil and wine, but we couldn’t find any fine chocolate in Boulder, Colorado at the time. From the spring of 2009 onward, our focus shifted almost entirely from our previous lives to that of chocolate. By Jan 2010 we made our first couple batches at home. In March of 2010 we spent a month in Costa Rica trying to learn about how farming practices influence final cacao quality. Then in September of 2010 we founded the business and only sold directly to friends, at events and markets. Finally, on January 1, 2011 we began working out of Steve DeVries’ factory in Denver and the rest is history. We moved out of DeVries’ factory on February 1, 2015 and opened our new factory in Park City, UT in mid-March of 2015. 2. What mission have you set yourselves for making chocolate? A lot of what motivates us is the concept of “quality of life”. We make chocolate to improve the quality of life for everyone involved—all the way from the growers to the customers. We’re happy to pay high cacao prices if that means our growers can improve their quality of life. We want to make sure we’re not adding to the destruction of our planet along the way as well. The quality of all life is important to us, not just human life. As for chocolate making itself, we set our standards painfully high because we want to make sure our chocolate is as good as it can possibly be. The better the quality of the chocolate, the better experience our customers will have, and that fits in with our goal to improve quality of life. On a personal level, a lot of our decisions over the last couple years have been based around improving the quality of our own lives. We moved from Denver to Park City so that we could live in the mountains and have immediate access to the outdoors. Denver is a great city, but we prefer to go on a mountain bike ride after work rather than going to a bar/pub (and not that we don’t go out, we just like to do it after we’ve had some time outdoors). 3. When did you start your company — and with whom? How many are there of you? Ritual Chocolate was founded by Robbie Stout and Anna Davies. It was just the two of us from 2010 to 2013. Since our first hire in 2013, we’ve grown to about 15 employees total (including ourselves). 4. Where do you want to go next? New bars? New beans? New markets? Lots of new bars. We’ve held off on launching new origins and other bars for a long time because we were waiting to launch our new packaging first (2 years in the making). Now that we have the design and branding that will represent us for many years to come, we’re ready to launch all sorts of things. We’d like to release 5-6 bars this year, fingers crossed. As we continue to evolve, we’d like to improve the sourcing side of our business and spend more time at the farm level. As more makers enter the market it’s going to get harder and harder to source the quantities that we need, so we’re going to have to get creative about how we do that. As for new markets, we’re really excited about beginning to sell in England as that is where Anna is from and where most of her family lives. Robbie also has some family there so it’s nice to have our bars available to them. 5.How did you source your beans? Every origin we work with is its own story. In the beginning, there were fewer importers and we didn’t know about the ones that existed, which is why we went to Costa Rica in the first place. Our first origin, our Costa Rica bar, was from one of the farms we visited and the beans were brought into the US by Steve DeVries. The Peru cacao is a good story, especially since it pertains to the bars we sent to you. In March 2010, we tried a test batch made from the newly discovered Marañón cacao. This is the pure Nacional origin that is 40% white to 60% purple beans on average. At the time, that test batch was the best chocolate we had ever tried, by a landslide. From that day onward, it was one of our goals to make chocolate with those beans. So we wrote to Pearson family, the family that discovered that cacao and increased the production in that area, and we requested beans. For years, they only sold chocolate made from those beans, which Felchlin in Switzerland made. We continued to beg, and we gave them samples of our chocolate to prove that we were worthy of such an incredible source. Finally, after about 3 years of waiting, they finally got back to us to let us know that they wanted to sell cacao to us. We were their first bean-to-bar customer (except for Felchlin of course). And it’s kind of a funny coincidence, because we now have the same U. Ammann conches that Felchlin uses, so for the inquisitive chocolate connoisseurs, you can see how different our style of chocolate making is compared to Felchlin, even with the same conches and same cacao. 6. Similarly would love to hear more about innovations in tech, crafting, marketing etc. you’re pursuing. Since we first began making chocolate, we’ve always been big proponents for deconstructing the whole chocolate making process into its most basic steps so as to have unlimited control over each of those steps. What we mean by this is that instead of using an all-in-one processor, like a CocoaTown or a Universal Conche that can process nibs and sugar into finished chocolate, we prefer to break the process down into have a pre-refiner, a mixer/grinder, a roll mill refiner and finally a longitudinal conche—so four individual steps with specific machines instead of just one to do all four of those steps. In doing it this way, we’re able to better control the texture and flavor of our chocolate. In 2011, we were one of the only companies in the country refining chocolate on a 3 roll mill (at the time I think Amano was the only other one, and I think Rogue got his roll mill shortly after). So at the time, our chocolate was incredibly smooth compared to other bean-to-bar chocolates. And I think, because the difference was so apparent, several other companies got roll mills too, so now our chocolate isn’t quite as unique as it used to be, but it’s still quite smooth relative to most of the chocolate out there. In addition to our roll mill, our other important piece of equipment is our longitudinal conche from Switzerland. Our set was built in 1915 in Langenthal, Switzerland by U. Ammann. The base of each pot is made of granite and all the rollers are steel. This type of conche conches the chocolate in a very slow and delicate way that expels unwanted flavors over a period of days rather than several hours like some of the modern machines. We’ve found that this slower approach to conching, while less efficient, allows more of the subtle flavors to shine through rather than being lost. A lot of the really modern machines are designed to process the ultra-high tannin cacao from Ghana and Ivory Coast (as that is where most cacao is grown). So these machines do a good job of making bad cacao taste good, but they do a bad job of making good cacao taste as good as it can. 7. What is your favourite food? Wine? Other chocolate makers? We love wine, whisky, and fine cheeses. But we also love simple foods like black beans and rice and oatmeal. I’d say the majority of our daily calories come from avocado, eggs, bread, granola, sugar-free almond milk, chocolate, nuts, wine, beer and whisky. We eat a lot of chocolate every day and we get a lot of sugar from eating foods high in sugar for cycling and running, so we typically crave salty foods at the end of the day. After a long day tasting chocolate, a two hour afternoon mountain bike ride with maple syrup (or anything else sweet) in my bottles, I’m usually ready for plate of salty, Mexican enchiladas for dinner. We almost never eat dessert. This International Women’s Day it seems only right to talk about the many women involved in crafting the delicious artisan bars that we love so much. This past year, we’ve welcomed a number of female makers. From Amedei’s Cecilia Tessieri and Cynthia at Soma, to Lisi Montoya of Shattell, Luisa at Luisa Abram and Brits Chantal Coady at Rococo and Ama of Lucocoa, all of these women are crafting incredible bars. And even while they may not been the principle chocolate maker women play a pivotal role for a number of different makers. Dahlia at Fruition, Frederike at Chocolate Tree and Barbara at Pacari, Joanna at Pump Street are just a few. It’s not just about the makers, but the people growing the cocoa beans. In the Democratic Republic of Congo, women have historically had little economic status or independence of any kind. 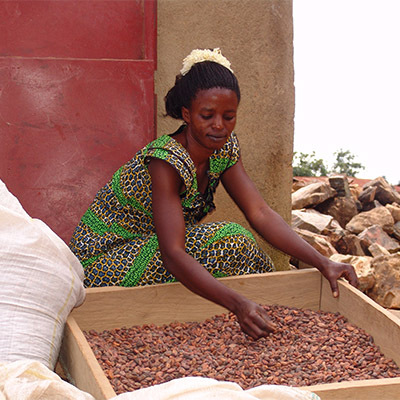 Through its Femmes de Virunga bar program, Original Beans is empowering women in the region. The chocolate maker is providing women with training in how to cultivate and produce high quality cacao so that they can become producers themselves. Original Beans also runs literacy and leadership courses to further equip local women with the skills they need. And even better, women in the region have the opportunity to put these skills to use. The women’s co-operative runs its own radio station and seedling nursery. As part of its ‘One Bar One Tree’ policy Original Beans also donates cacao trees to local women for them to sell or cultivate. Now, even the most isolated women farmers can benefit from the community and expertise of the women’s cooperative and enjoy a long term and fully sustainable livelihood with all the economic advantages that come with this. Shawn Aksinosie is another maker involved in raising the profile of women around the world. Through is Chocolate University program in Tanzania he funds an Empower Girls club at local schools. The club aims to increase the retention and graduation rate of female students. 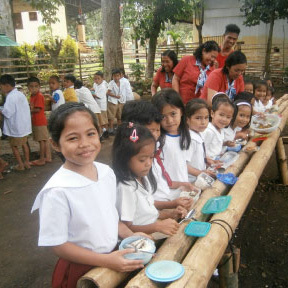 Askinosie has also pioneered a Sustainable Lunch Program. As part of this, Askinosie purchases local premium foods (Aromatic Premium Keyla rice in Tanzania, Tableya Cocoa Rounds in the Philippines) and sells them to people and speciality shops in the States. All of the profits are then used to fund school lunches for children in Tanzania and the Philippines. Since 2011 Aksinosie has provided more than 315 000 meals through the scheme. Malnutrition has decreased and academic performance and attendance in both the regions has increased! This month we are delighted to introduce Chapon as well as a host of new bars from old favourites Pump Street Chocolate, Zotter and Marou. Don’t forget if you like to buy another of this month’s collection, either as a gift or to relive the joy yourself you can find it here. Patrice Chapon started his career just down the road from our London office (well sort of) at Buckingham Palace, crafting ice-creams and sorbets for the Royal Family before returning to Paris to open up his atelieut after growing demand and numerous requests he opened his own shop next to his atelier in Chelles. In 2010, Patrice set himself a new challenge. He wanted to craft his own chocolate directly from the bean. To him this meant more that just the best quality quality chocolate and a guarantee of the product’s sustainability (although both of these were important considerations). More than anything, Patrice felt that for his creations to truly represent his own creativity and personality they had to be 100% his own. On first tasting we were surprised – we detected none of the earthy or vegetal notes we have come to expect of this origin. The smooth chocolate has a delicate, almost aromatic note that hints of fior di latte and vanilla. A sweet and gentle spice permeates the bar and gives a flavour strangely reminiscent of cinnamon milk. The intriguing tasting notes are given an indulgent quality by the smooth and creamy chocolate. 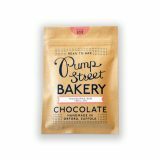 Chris Brennan and Rob of Pump Street Chocolate have also been winning awards galore for their bars and their packaging. Already they have won Silver at the Academy of Chocolate Awards 2015 for their Honduras bar. This new bar is made using the 2015 crop of beans from the Finca Tres Marías estate. This is family owned plantation located in the mountains of Northwest Honduras. Instantly you are met with an delicious smell full of chocolate and yeasty notes. The light coloured chocolate has a delicate flavour and not even a hint of bitterness. The chocolate seems to almost have been infused by the aromas of the bakery. The smooth chocolate is full of sweet buttery flavours and caramelised currants. The bar reminded us of a toasted tea cake or thickly buttered slice of burnt toast. And then we’ve ventured further afield to Vietnam to offer you a taste of one of Vincent and Sam’s classic bars – their Lam Dong. As ever the flavours are strong and distinct – while the bar is great enjoyed by itself we think one the joys of Marou is comparing the different Vietnamese regions. Try some alongside the Ba Ria or Dak Lak and the impact terroir has on flavour. From the province of the same name, the thick bar has the rich smooth quality we’ve come to expect from Marou. The inital aroma had a lightly roasted quality with some nuts and fruity coffee. We tasted notes of spiced blasamic and raisins, with a yeasted hint. A kick of black cherry on the finish. Moving back across the channel, we’ve another example of Austrian wizardry from Joseph Zotter. Zotter is an Austrian bean to bar chocolate maker with a penchant for the wacky. Founder Josef Zotter loves to experiment with flavours. His filled chocolates include everything from cheese to bacon and vodka to frankincense. But at the heart of everything Zotter does is a simple, ethical approach to chocolate making. 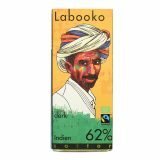 Don’t worry though – the Labooko bar in your box focuses on the fine flavours of the cocoa beans rather than unusual inclusions. This particular milk bar was described by chocolate tester Georg Bernardini as ‘the world’s best milk chocolate’. We’ll leave it up to you to see whether you agree. This creamy and fragrant milk has a higher cocoa content than most. 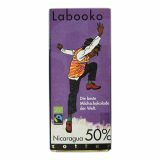 We were struck by the strong chocolatey flavours of the Nicaraguan cacao, which are complimented by delicate fruit notes. A very well balanced dark milk bar with a good melt. So far this is the only bar we have that uses Indian beans, but we are sure we will be seeing more from this origin in the future. These particular beans come from Kerala in the south west of the country. An incredibly smooth with a quick melt and sweet flavour. Fragrant and honeyed spices dominate. We detected hints of mace and strongly roasted coffee but little earthiness and almost no fruit. A surprisingly high acidity contrasts with the sweeter tones. Zotter’s characteristic touch of salt finishes the bar, picking up the spice.